Find yourself wanting to work in a social media role but struggling to find the right role? Wanting to make a name for yourself in the biggest market of them all? 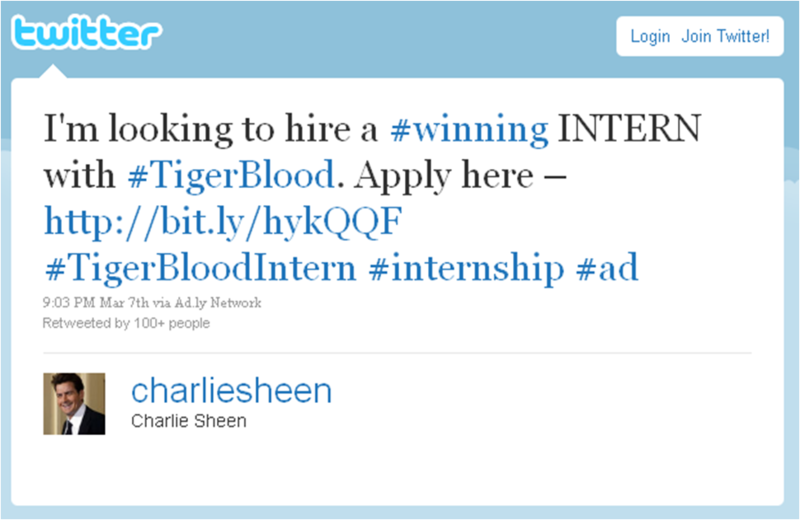 Head over to internships.com and apply to become Charlie Sheen’s social media intern for the summer. 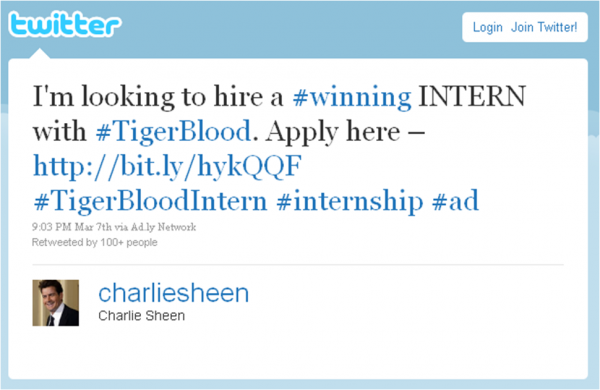 They are looking for someone who is #winning and who has #tigerblood running through their veins to work on developing Mr Sheen’s profile through social media, and as they put it; “prepare for exciting online projects”. For those with more loose morals there are probably opportunities for a lot of “fun” in the role as well. But seriously, if you want to make a name for yourself in social media and be exposed to one of the biggest and most talked about celebrities around, get your application in today and you might be the one out of over 74,000 applicants to win the summer internship of the year.